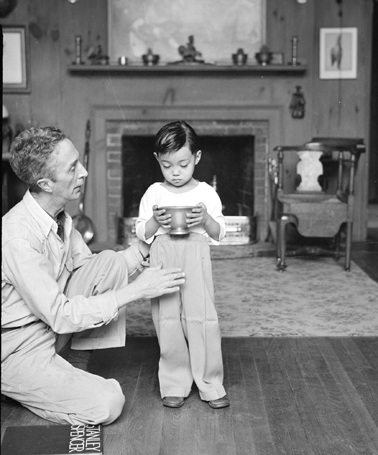 Gene Pelham (1909-2004), “Norman Rockwell Helps a Young Model Pose in His Arlington, Vermont Studio,” 1952. Digital facsimile. Norman Rockwell Museum Collection. All rights reserved. Norman Rockwell Museum will be holding a press conference about its new exhibition, We The Peoples: Norman Rockwell’s United Nations this Monday, June 29, starting at 11:30 a.m. ET. The conference, held at the United Nations Headquarters in New York City, is expected to include remarks from Deputy Secretary-General, Jan Eliasson, who was instrumental in the planning of this unique exhibition commemorating the 70th anniversary of the UN. We The Peoples: Norman Rockwell’s United Nations is on view at the United Nations Visitors Centre through September 15, 2015. Support is made possible by the United Nations Foundation. Admission to the exhibition is free to the public. *Please note: the opening reception is filled to capacity, and we can no longer accept additional attendees to the live event.